Chromecast may be the weird stepchild of the new Android TV, but seeing as it’s sold incredibly well globally, Google would be remiss if it didn’t pay it some much-needed attention during this morning’s keynote. 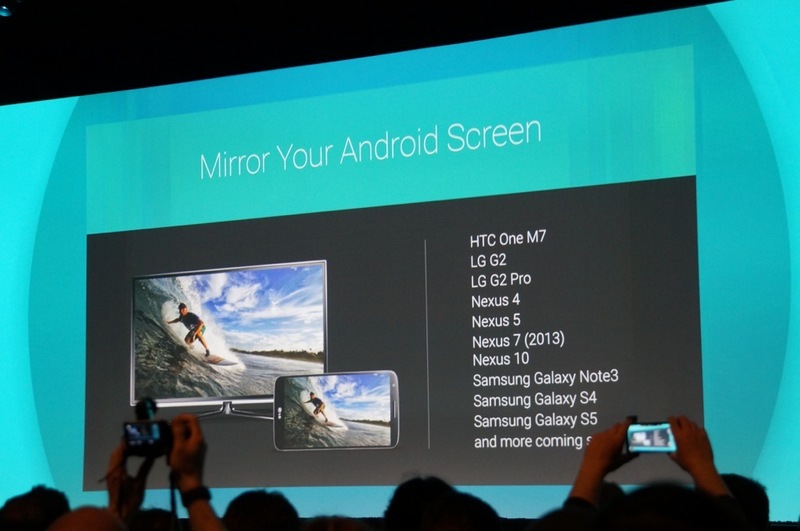 One of the most exciting features demoed onstage was Android mirroring. A long time coming, the service – which is in beta and will be incorporated into Google Play Services in a few weeks – lets you to cast your device’s display and audio to Chromecast. That, of course, allows you to play games or navigate around Google Earth on your TV. Mirroring seemed quite responsive – Google built a new protocol explicitly targeting low latency – and everything seemed to work without a hitch, including switching between landscape and portrait and using the phone’s camera. Unfortunately, mirroring is a hardware-dependent feature – only HTC, Samsung, LG, and Nexus devices will be able to take advantage, at least initially. Bummer. Another welcome addition to Chromecast is the ability to cast from a different network. Using WiFi and cellular to approximate location, devices will now automatically detect and be able to use a Chromecast without having to connect to a local network. PIN security can be enabled, of course, if that prospect frightens you. Finally, the familiar backdrops that display when Chromecast is idle are becoming customizable. An updated version of the Chromecast app for Android and iOS has a toggle to stream photos from either your Google+ library, or from category-specific web galleries like Art, Places, Lifestyle, and Weather. Each backdrop will now be accompanied by more information, too – just ask Google Now “what’s on my Chromecast” to be presented with details about image on screen. Don’t expect these features anytime soon – Google is projecting they’ll roll out gradually over the next few weeks. 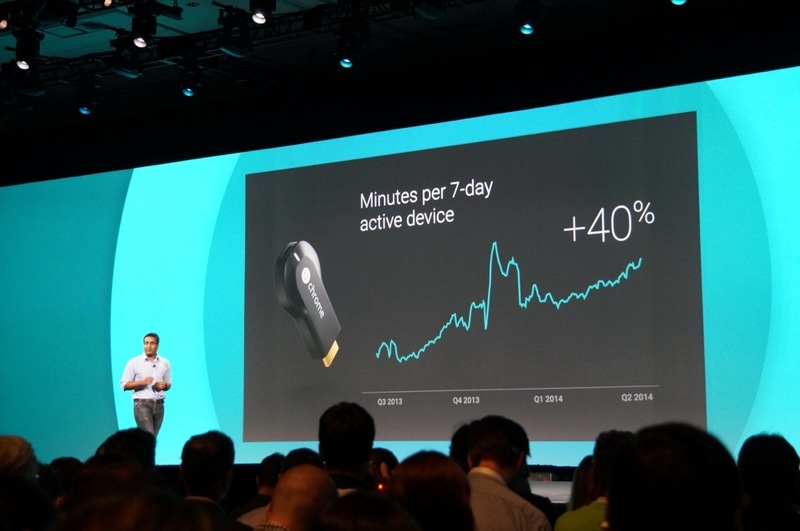 Chromecast owners, you certainly have things to look forward to. HTC Commits to Android L Release, Will Update Flagship Devices "As Fast As Possible"